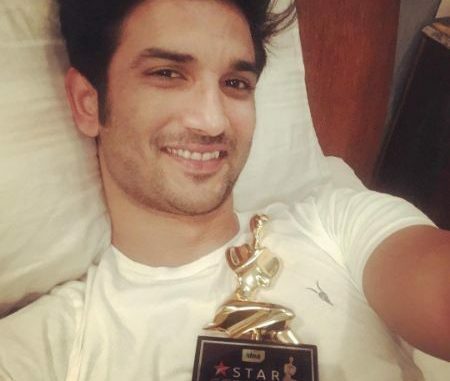 Actor Sushant Singh Rajput has bagged the award for the Best Actor (critics choice) at the Star Screen Awards last night. The actor has been basking in the glory of success after his commendable performance in M.S.Dhoni- The Untold Story for which he received the award. The most interesting part is that Sushant did not only gain commercial success with the cash counters ringing at the box office at the time of release, but also received an award from the critics for his outstanding performance now. Sushant worked really hard for it and now its paying off. Despite being an outsider the actor has carved his name in the industry with sheer hard work and talent. With his phenomenal performances, Sushant has time and again proved to be one of the most versatile actors of B-Town, adding to the list of top-notch Bollywood actors. His journey from a background dancer to the best actor in the film industry has made him an inspiration for the youth. Giving us the biggest blockbuster of the year, Sushant created a humongous addition to his fan following. He left no stone unturned to fit in the shoes of the real life M.S.Dhoni. The reel life Dhoni has garnered accolades not only by the audiences but also from people in the industry. Why The Heck Isn’t Tayshia The New Bachelorette?